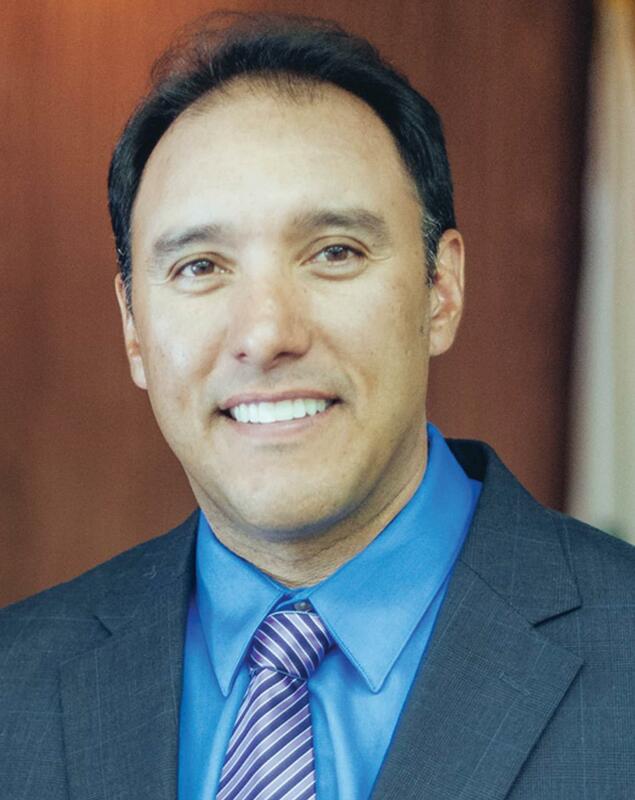 Governor Newsom nominated Matt Navo, former superintendent of Sanger Unified School District (SUSD) and current director of systems transformation at the Center for Prevention and Early Intervention for WestEd, to the California State Board of Education. According to this EdSource article, Navo offers “on-the-ground knowledge” as a former superintendent, principal, teacher, and director of SUSD’s special education services. This nomination comes at a time when the board is stressing locally based improvement and district partnerships as the alternative to state-driven reform under the Local Control Funding Formula. Jorge Ruiz de Velasco authors Guidebook on Integrated Student Supports for College and Career Pathways. 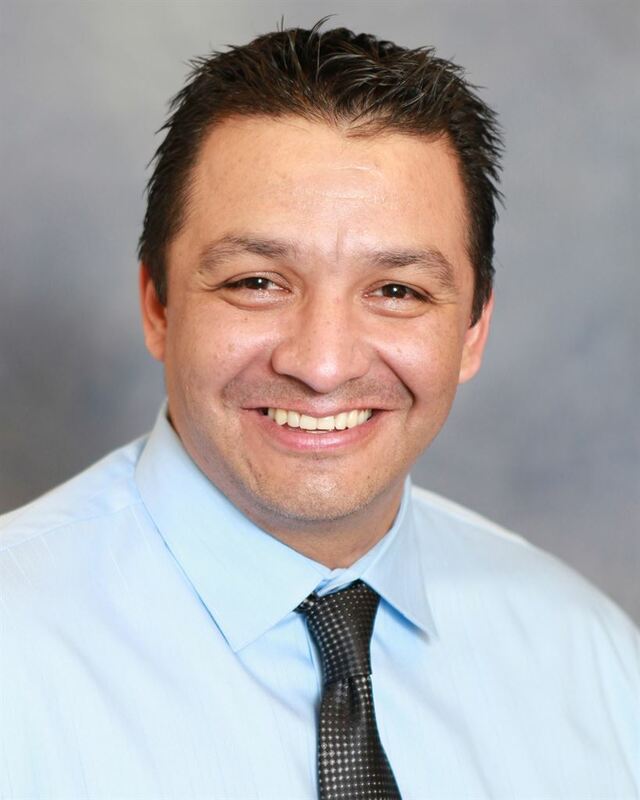 Jorge Ruiz de Velasco, Deputy Director at the John W. Gardner Center for Youth and their Communities, authored A Guide to Integrated Student Supports for College and Career Pathways: Lessons from Linked Learning High Schools. The guidebook explores integrated student supports for universal college and career readiness. It also introduces a conceptual framework for implementing a system of comprehensive student supports that provide equitable access to a student-centered program of learning via Linked Learning pathways in highs schools. The guidebook also offers seven profiles of educators and their partners in California high schools who work collaboratively to develop comprehensive student supports that link together rigorous curriculum, technical education, and workplace opportunities. Michael Kirst retired from his position as President of the State Board of Education last week. During the 1970s and early 80s, Kirst served as an Advisor to the then-Governor of California, Jerry Brown, and as a Member and then President of the California State Board of Education. After Brown became Governor again in 2011, he again appointed Kirst as President of the State Board of Education for another two terms. During those eight years, Kirst and Brown worked together to reshape K-12 education in California, including, but not limited to the implementation of new academic standards and assessments in math and English/Language Arts and the adoption of new science standards. Kirst was also instrumental to the implementation of the Local Control Funding Formula, developed in 2013 to create an equity-based system directing more money to low-income students, foster youth, and English learners. In an interview with Ed Source, Kirst talks about issues around school funding, agency for children, the new statewide system of support, and the importance of training local educators to implement the newer, more rigorous academic standards. A condensed transcript of the interview can be found here. Steve Martinez, Superintendent of Twin Rivers Unified School District, and Rick Miller, Executive Director of CORE Districts, co-authored a commentary for EdSource advocating that the state of California change the way it measures progress on its math and English standardized tests. Currently, the state reports change by comparing the scores of this year’s students against the scores of last year’s students who were in the same grade. Martinez and Miller argue that a better way to measure improvement from one year to the next is through a model called “Academic Growth.” Academic Growth measures the acceleration of achievement at a school by accounting for how much each individual student is learning over time and considers improvement in scores even if a student hasn’t reached the goal of proficiency. Twin Rivers Unified is a part of the CORE Data Collaborative, which adopted a method that compares schools by considering whether each student’s progress is less or greater than could be expected for similar students who started off at the same score the previous year. By digging deeper into the data using the Academic Growth model, Twin Rivers Unified sees evidence that they are on the right track and are able to validate the work of teachers, students, and families. This model also allows the Board to make informed decisions and support meaningful changes for students. Arun Ramanathan, Chief Executive Officer of Pivot Learning, and his team came together with the Consortium on Reaching Excellence in Education to host a webinar on Instructional Leadership and Excellence in Special Education on October 5, 2018. Drawing upon the expertise of Connie Jensen, Parisima Shahidi, Terry Petersen, Dean Ballard, and Arun Ramanathan, the webinar focused on building the capacity of special education leaders, teachers, and service providers to serve as instructional leaders. The team focused on three learning objectives during the webinar: (1) understanding why instructional leadership is the key to improving learning outcomes for students with disabilities, (2) learning Pivot’s approach to assessing and developing an effective action plan for improving special education outcomes, and (3) finding out how to build the capacity of special educators to be instructional leaders. This webinar was provided in response to concerns about the persistent achievement gap for students with disabilities reflected in California’s assessment scores. Chris Steinhauser, Superintendent of Schools for the Long Beach Unified School District (LBUSD), wrote an op-ed piece for EdSource about Assembly Bill 1951. The bill would allow school districts in California to administer an alternative assessment (such as the SAT or ACT) during the school day for free in place of the state’s Smarter Balanced test for 11th graders. States such as Connecticut, Delaware, and Michigan already administer the SAT as part of their state-adopted assessment program. LBUSD has been offering the SAT for free and has seen significant increases in the number of students meeting minimum requirements for admission to California State University. Steinhauser argues that with two-thirds of the families in LBUSD unable to afford school meals, offering a free SAT for students opens up opportunities for students. While LBUSD 11th graders currently take both the SAT and the Smarter Balanced Assessment, they also face both final and Advanced Placement exams. According to Steinhauser, this intense assessment schedule means many students experience test fatigue, which can impact students’ social-emotional health. If Assembly Bill 1951 passes, students taking the SAT or ACT would not need to also take the Smarter Balanced exam. San Diego State University (SDSU) named Joe Johnson, former dean of the College of Education and interim dean of the College of Extended Studies at SDSU, as the interim provost. Johnson had planned to retire from his former roles but shared with the SDSU News Team that he is honored to serve as the interim provost and is “looking forward to working alongside President-Designate [Adela] de la Torre as we journey into this new chapter in SDSU history.” Johnson entered the new role on June 6 and will continue to serve as the executive director of National Center for Urban School Transformation at SDSU during his tenure. Jason Willis, Director of Strategy and Performance in the Comprehensive School Assistance Program at WestEd, coauthored a report with Kelsey Krausen detailing the fiscal pressures that California school districts face that are largely hidden from public view. The report suggests that despite efforts to help school districts recover from the Great Recession by increasing per-pupil funding, the costs that school districts are saddled with to maintain operations and cover the rising cost of employee pensions means that districts across the state are experiencing a Silent Recession. Willis and Krausen analyzed budgets for 55 school districts in California and conducted interviews with district and county leaders for this report to draw attention to fiscal pressures such as declining student enrollment and aging facilities. The report also outlines the implications of the Silent Recession and strategies districts employ to mitigate its effects while preserving quality education programs for students. Ryan Smith, Executive Director of the Education Trust – West, wrote an op-ed piece in the San Francisco Chronicle supporting Community College Chancellor Eloy Oakley’s proposal for a student-centered funding formula for the community college system. The proposal aims to bring about greater equity by shifting the funding approach from one based on enrollment numbers to a system that incentivizes community colleges to offer students supports to attain credentials and degrees Smith argues that too many students in the community college system flounder without getting the support they need. According to the op-ed, only 42 percent of Latino community college students and 37 percent of black community college students complete a certificate, degree, or transfer within six years. The proposed funding model is an attempt to reform the system to support the success of underserved students. The American Educational Research Association (AERA) granted the 2017 Distinguished Public Service Award to Mike Kirst in recognition of his work to enact or implement policies that are grounded in education research, and for being at the forefront of efforts to increase recognition and support for education research. Kirst and 18 other honorees were recognized for their contributions to educational research at AERA’s Annual meeting in San Antonio on April 24, 2018. Mike Kirst is professor emeritus of education at Stanford University and serves as the current president of the California State Board of Education. 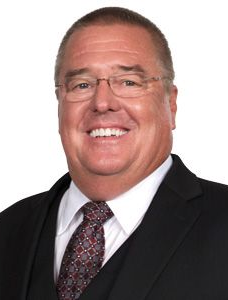 EdWeek featured Dale Marsden, superintendent of the San Bernardino City Unified School District (SBCUSD), as a 2018 Leader to Learn From for his work in building a culture of physical and emotional safety in his district. When Marsden started as superintendent in SBCUSD in 2012, he hit the ground running, embedding himself in the city, and spending time building relationships and having conversations with the community. One message that came out of those conversations was that people wanted assurances that their children would be safe in San Bernardino schools, which are located in an area with high crime rates—including murder and gang warfare. Under Marsden’s leadership, the district made great strides with initiatives focusing on health, wellness, and safety, and has put protocols in place to respond to crises. So when two fatal shootings impacted SBCUSD staff and students in 2015 and 2017, the district proactively reached out to students’ families and the surrounding community. The federal government has praised SBCUSD for its responsiveness, and Marsden has since been recognized for his leadership in school climate and safety, in large part for his commitment to preparation for all situations and understanding of the essentiality of communication. "No student should ever be made to feel that their race has anything to do with their ability to succeed." Jorge Aguilar, superintendent of Sacramento City Unified School District, released a video after a student in the district’s elite Humanities and International Studies Program (HISP) displayed a racially charged science project suggesting the lack of a diversity in the program reflected a deficit of qualified minority students. In his video, Aguilar vowed to conduct a thorough review of the policies around specialty programs through the lens of equity, access, and social justice. In a subsequent article, the Sacramento Bee featured Aguilar saying that the way to increase equity and access in the district’s special programs is not through lowering the standards of admittance into HISP for students of color. Rather, after examining the district’s data showing dozens of qualified minority students who have not applied to HISP, Aguilar argued that the solution is to raise the expectations for all students. In addition, Aguilar wants to increase overall academic performance so more students are qualified to apply for specialty programs in the district. Several Collaborative members made important contributions to the PACE Research and Policy Annual Conference, Fulfilling the Promise of the Local Control Funding Formula (LCFF). As a panelist in a session focused on equity, Ed Trust-West Executive Director Ryan Smith acknowledged important progress that has happened with LCFF, while simultaneously urging California’s education community to increase transparency at all levels, build capacity for meaningful stakeholder engagement, and use LCFF dollars to improve—not just increase—supports for students. As part of the same panel, San José Unified School District (USD) Superintendent Nancy Albarrán expressed appreciation that LCFF has facilitated a shift from compliance to commitment, but also emphasized the importance of implementing approaches with quality, and securing adequate funding overall to do so. 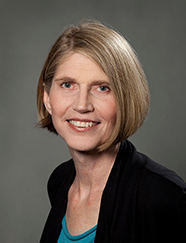 In a session focused on PreK-3 alignment, Northwestern University Professor Cynthia Coburn shared early findings from a study of two California districts seeking to develop a more coherent approach to mathematics instruction in early grades. Later, an address from State Board of Education President Mike Kirst offered reflections on recent and future developments in state policy, including proposals in the governor’s budget to address ongoing needs in California’s public education system. Finally, Sacramento City USD Superintendent Jorge Aguilar joined Albarrán in a second panel discussion to describe emergent efforts to use a robust data system to uncover inequitable pieces of the school system, then use that information to inform the optimal use of LCFF resources. Materials from the conference are available at https://edpolicyinca.org/events/fulfilling-promise-local-control-funding-formula. Ryan Smith, Executive Director of The Education Trust – West, coauthored a commentary in EdSource with California School Boards Association Executive Director Vernon Billy challenging the State Board of Education (SBE) to improve the California School Dashboard. They argue that the Dashboard does an inadequate job of defining good performance, that it misses the mark in highlighting achievement gaps of subgroups, and that the target audience is unclear. Most importantly, they put forth the challenge that the California School Dashboard must be refined to increase its focus on equity in order to develop a school accountability system that is innovative in both theory and practice. They propose that the SBE should focus on three key changes to the dashboard. First, more clearly communicate goals and define performance levels on the dashboard, especially for historically underserved student groups. Second, provide more guidance and a more robust and defined system of supports for struggling districts in order to address equity more clearly. And third, make the dashboard more accessible and actionable by better displaying data and including student growth and year-to-year change data. Michael Kirst, professor emeritus of education at Stanford and current president of the California State Board of Education, coauthored a new book, Higher Education and Silicon Valley: Connected but Conflicted. In an interview, he and co-author William Richard Scott described some of the trends they found while examining 45 years of higher education in the Bay Area and 350 postsecondary organizations in the Bay Area. Kirst and Scott discuss the relationship between higher education and the tech industry and the ways in which colleges endeavor to meet the needs of a rapidly changing economy, but are failing to do so for a number of different reasons and the writers conclude with suggestions for improvements at the state level and with recommendations to better align the two worlds. Jorge Aguilar, superintendent of Sacramento Unified School District Superintendent and former Associate Superintendent for Equity and Access at Fresno Unified School District (FUSD), coauthored a brief highlighting the development and use of FUSD’s data dashboard and the principles of improvement science to increase college access for its students. FUSD’s began its work by designing a data dashboard comprising 75 indicators and assembling an Equity and Access Team to analyze the data. Initial analyses revealed that despite many students being eligible to apply to a variety of California’s colleges and universities, most applied to only one. The Equity and Access team formally adopted the Improvement Science Framework in order to tackle in the issue. Using this framework, FUSD partnered with the University of California at Merced to enact small measureable changes, track the impact of these changes, and determine whether the changes indeed created improvements. In the team’s Study phase of their Plan- Do-Act-Study Cycle of Improvement, they asked themselves whether their data showed improvement in the performance problem and studied their implementation of each component of their change idea. After review of the intervention’s data as a whole, the team agreed to adopt the intervention with some changes. Ultimately, Aguilar and his coauthors argue that the use of robust data, a dedicated, knowledgeable team, and committed adherence to the continuous improvement approach can lead to substantial change and positive outcomes. The lessons learned highlight the importance of culture change within the district in order to reap the benefits of continuous improvement. As a member of the LCFF Research Collaborative, Jennifer O’Day coauthored a report that examines several key issues from the third year of LCFF implementation. The report, which draws on case studies of eight California districts, dives deeper into four issues that emerged from the group’s first two reports: stakeholder engagement, Common Core alignment and implementation, allocation of resources to targeted students, the movement toward equity and coherence. The authors recommend that the state and others restate the equity intent of LCFF, offer support to increase district capacity, and allow districts to develop alternatives to the LCAP template. Jarah Blum, a member of the California Collaborative on District Reform staff, also contributed to the development of this report. On April 7th, Michael Kirst, President of the California State Board of Education and Stanford Emeritus Professor of Education and Business Administration received the prestigious James A. Kelly Award for Advancing Accomplished Teaching. The National Board for Professional Teaching Standards (NBPTS) bestows the award to individuals who have demonstrated a passionate commitment, expertise and unwavering dedication to improving education for teachers and students. According to James A. Kelly, Kirst’s “career has been dedicated to improving schools and, in turn, making life better for their students.” An NBPTS statement further describes an expansive dedication to the improvement of American education, including his two terms as president of the California State Board of Education; role as an educator in education and business administration; and countless other contributions related to school finance, curriculum politics, and intergovernmental relations and education reform policies. Past recipients of this award include President Bill Clinton and Linda Darling-Hammond. In reference to Secretary of Education Betsy DeVos’ confirmation hearing, during which she responded to a question about the choice between using student proficiency or academic growth to gauge school progress, CORE Districts Executive Director Rick Miller writes an op-ed for EdSource in support of measuring both. Miller describes the CORE Districts’ approach to gauging student progress as the “Power of Two”—tracking proficiency with the percentage of students meeting standards and measuring academic growth by looking at student-level progress from year to year. This growth model tracks the degree to which students make progress at the same level as their peers—students with similar test scores and demographic characteristics—to help identify the degree to which schools are contributing to student learning. According to Miller, this approach provides more actionable information about which schools need the most supports and interventions to improve. The CORE Districts are sharing their findings with state and federal decision makers to inform policy. Kenji Hakuta, Professor of Education at Stanford University, has co-written a commentary piece featured on Edsource entitled Ending the No Child Left Behind Catch-22 on English Learner Progress. With co-author Linda Darling-Hammond, Hakuta highlights problematic features of No Child Left Behind (NCLB) for English Learners (EL) and urges the California State Board of Education to seek a more transparent and sensible reporting model for measuring EL progress. Of particular importance is an accountability system that fully represents EL gains. Under accountability provisions associated with NCLB, the most academically advanced ELs often developed proficiency in English just as they made progress in core content, and were reclassified as fluent English proficient. As a consequence, these students’ scores—those which demonstrated the most progress—no longer counted towards EL performance numbers, leading to a mischaracterization (and misunderstanding) about EL achievement in schools. To counteract and move past these detrimental outcomes, Hakuta and Darling-Hammond suggest a more reasonable approach that acknowledges students and schools for the gains they achieve, especially in the context of the state’s accountability system. They also emphasize the need for California’s education system continue to support ELs at all performance levels. EdSource featured Chris Hoffman and Chris Steinhauser in an article about superintendents who work in the school districts they once attended as students. 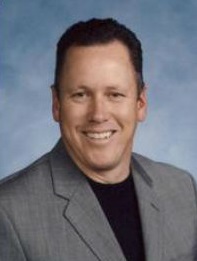 Hoffman, superintendent of Elk Grove Unified School District, considered his role to be a way of giving back to his community and spoke fondly of his schooling years, remembering that “the atmosphere […] made everyone feel welcome.” Steinhauser, superintendent of Long Beach Unified School District, has spent his entire career in Long Beach. He attended their local schools, attended Long Beach City College and Cal State Long Beach, and has been a teacher, principal and administrator in Long Beach schools. The author writes that these superintendents bring a powerful and intimate knowledge of their districts and communities they serve. In fact, some research has shown that superintendents who were students in the districts they serve are more likely to bring change and stay in their positions longer than those who did not. Bill Honig, vicechair of the California Instructional Quality Commission, and his team have launched the Building Better Schools (BBS) website. Designed to help a broad audience of district leaders, other educators, parents, and legislators understand and navigate the school reform debate, the BBS website gathers evidence in support of a “build and support” approach towards school improvement as an alternative to the “test and punish” approach often associated with No Child Left Behind. It places instruction at the center of improvement efforts, aims to engage all educators, students, and parents, and builds support structures to create effective school teams and continuous improvement. To help synthesize these perspectives, a set of Talking Points and tweets are available to help continue the conversation. To learn more about Bill Honig’s perspective on the state of affairs of California Education Policy and impetus behind developing the BBS website, see Louis Freedberg and John Fensterwald’s interview with Bill Honig on EdSource. In an op-ed for EdSource, Chris Steinhauser, Superintendent of the Long Beach Unified School District (LBUSD), makes a case for why CORE Districts should serve as a research pilot for the state’s efforts in adopting a multiple-measure accountability system. With six years of collaboration and counting, Steinhauser notes how the CORE Districts have developed an accountability system that already serves more than 1 million students and their families. He highlights the CORE Districts approach to leveraging data in multiple ways and use of a multiple-measure framework for identifying targeted support and improvement. Notably, this multiple-measure accountability system harnesses the strength of both academic and non-academic measures. Steinhauser closes by sharing how pilot work at LBUSD allows the district to explore new instructional practices and resource allocation decisions that the district can then leverage to improve student outcomes districtwide. Governor Jerry Brown appointed Matt Navo, Sanger Unified School District superintendent, to the governing board of the California Collaborative for Educational Excellence (CCEE). The CCEE was created by the legislature to advise and provide assistance to county offices of education, school districts, and charter schools in achieving the goals laid out in their Local Control Accountability Plans. 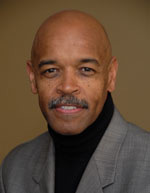 According to Carl Cohn, the CCEE’s executive director, Navo, “brings many strengths to our work—most importantly leading a school system that knows how to get better.” In addition to serving as superintendent to Sanger Unified School District, Navo holds a position as adjunct faculty in the Education Department at California State University, Fresno, and is a member of the Sanger Rotary Club, Association of California School Administrators, American Association of School Administrators, California Practitioners Advisory Group, and the California Advisory Commission on Special Education. In an EdSource blog post, Arun Ramanathan, CEO of Pivot Learning Partners, suggests that like the innovative statistical approaches used to measure success in baseball, educators should broaden the measures they use in order to paint a more complete picture of student performance. First, instead of defining academic achievement exclusively by assessment scores in English and mathematics—the baseball equivalent of measuring a player’s value solely by batting average and runs batted in—education can harness the power of more data points—equivalents of metrics like baseball’s OPS (On-base Plus Slugging), WAR (Wins Above Replacement), and BABIP (Batting Average on Balls in Play)—to develop a more comprehensive and revealing window into student progress. Living in the 21st century also means data is more accessible to the public, a context which Ramanathan views as an opportunity for multiple stakeholders to access and present data in more useful ways than the indicators traditionally developed by the state. Finally, Ramanathan describes the increasing inevitably of data, a reality that should push policymakers to factor in “bottom-up” solutions in domains they once controlled and encourage them to think more creatively about resolving issues of accountability, transparency, and privacy. Both CALMatters and Palo Alto Online highlight the prominent role Mike Kirst, President of the State Board of Education, has played in key education changes in California over the past few years. Characterizing the longstanding state education system as crippled by centralization, the articles describe Kirst’s effort to steer away from this stifling nature of ineffective structures imposed by the federal and state government. Pursuant to this view, Governor Jerry Brown and Kirst are charting new path for California where classroom problems are dealt with by teachers, principals, and local school administrators rather than by far-removed lawmakers or government bureaucrats. One hallmark of this approach is the state’s Local Control Funding Formula, which provides additional resources to traditionally underserved students and grants local school districts substantial discretion in how to spend state money. The uncharted territory is a push towards participatory government where community stakeholders and educators work as partners to best meet students’ and communities’ needs. In response to oversimplified measures of progress frequently used to determine national rankings, Mike Kirst, President of the California State Board of Education, writes an opinion piece for The Mercury News describing California’s progress in preparing students for college. At the classroom level, Kirst observes that the state's high school students surpass national averages of advanced placement course enrollment and scores on college admission tests. Participation rates for college admission tests also continue to increase, with more than 242,000 California students taking the SAT and more than 122,000 taking the ACT in 2015. As a measure of aptitude, Kirst notes that individual compare favorably to SAT scores in Florida, New York, and Texas. Overall, Kirst suggests that these measures signify that California students are better prepared for college. In the meantime, California continues to ramp up the use of actionable data geared to prepare students for college. For example, new computer-based tests measure college readiness in grades 3-8 and 11 and will provide parents and educators with information they can use to help get students on track for college. CORE Districts Executive Director Rick Miller was one of six participants in a webinar titled “The Every Student Succeeds Act: Implications for California and Equity.” The webinar, hosted by EdSource and Partners for Each and Every Child, brought together education leaders in the state to discuss the implications of the Every Student Succeeds Act (ESSA) in California, with particular attention to if and how ESSA aligns with policy efforts California is already pursuing. Miller reflected on the merits of a multiple measures accountability system and described the CORE Districts’ system of ten independent metrics that combine to create a single index. Miller explained that the single, overall number is less important than the ten metrics, which include information on a wide array of districts’ academic and nonacademic successes and challenges. Moreover, the CORE Districts report performance on each of the metrics in a way that allows district leaders to compare progress among schools and districts. Miller argued that California should similarly pursue a dashboard approach to measuring schools and districts. In his closing remarks, Miller encouraged the state to consider ESSA as an opportunity to take risks and try new paths toward school improvement. In Designing an Accountability System that Builds Professional Capacity and Sustained Commitment to Equitable Access to Deeper Learning Opportunities for All Students, Jorge Ruiz de Velasco, associate director for the John W. Gardner Center for Youth and Their Communities, explains how a commitment to deeper learning has driven the CORE Districts’ to design an accountability system that promotes equitable learning opportunities. To elucidate the connection, Ruiz de Velasco defines deeper learning and shows how it helps individuals attain college, career, and civic readiness skills like adaptive problem solving and independent creativity. He then examines how the California CORE Districts—a cross-district partnership that formed to explore strategies to advance student achievement— designed an accountability system with this guiding principle and the goal of providing equitable learning opportunities for all students. CORE District leaders have created an accountability system that aligns with a broader set of improvement efforts.Going forward, the CORE Districts will continue to grapple with how best to drive school-level implementation of social emotional learning practices and the respective continuous improvement structures that promote equitable access to deeper learning. In an Education Week blog post, Arun Ramanathan, CEO of Pivot Learning Partners, suggests reshaping the Local Control Accountability Plans’ (LCAPs) to better match 21st century processes and sensibilities. Drawing from his experience as a special education teacher, Dr. Ramanathan identifies striking similarities between the LCAP and the Individualized Education Plans (IEPs) for students with disabilities he recalls filling out. He describes both documents as “government-sanctioned forms divided into sections that require hours of manual text and data entry” and notes that both maintain an annual review process, operate on a three year timeline, mandate parent involvement and collaboration with educators, and are intended for planning, resource allocation, and accountability. This combination of requirements and tasks produces plans that try to do too much with an end result that Dr. Ramanathan describes as “an unfortunate combination of incoherence and procedural compliance.” The resulting documents are hardly accessible to local stakeholders, do little to contribute to continuous improvement efforts, and seldom result in a higher quality education. He closes with the assertion that a 300 page cut-and-paste document quickly becomes outdated and irrelevant. Instead Ramanathan suggests “bringing [the plans] into the 21st century” by creating a new, streamlined process that uses innovative tools to link real time data to support accountability and to shape goals that will align with students’ needs as they evolve. In an EdSource commentary piece, New Teacher Center (NTC) founder and CEO Ellen Moir advocates for Governor Brown to sign legislation designed to support teachers in their induction period. At a time where teachers are underpaid and California faces intense teacher shortages, Assembly Bill 141 takes a step in supporting teacher preparation by prohibiting districts from charging beginning teachers to participate in a required mentoring and induction program. Moir draws on her two decades of experience working with districts to argue that highly effective mentoring programs are critical not only for teachers but for student achievement. These mentoring and induction programs provide essential feedback to novice teachers when they need it most, during a pivotal time period when they begin to hone their craft. Moreover, the benefits expand beyond educators and extend to students and taxpayers through increased student achievement and reductions in teacher turnover and reductions in district recruitment costs. Collaborative members Mike Hanson, Mike Kirst, Jennifer O’Day, and Chris Steinhauser participated in an event promoting the release of a new book, Improving Equity and Access in Fresno: Lessons from a K12—Higher Education Partnership. The book describes the inception and evolution of Fresno Unified School District’s efforts to “provide students the greatest number of postsecondary choices from the widest array of options upon graduation.” Written by AIR senior researcher Clarisse Haxton and Collaborative chair Jennifer O’Day, the text explores many of the themes that emerged during the Collaborative’s March 2015 meeting in Fresno. Among these, it goes into greater depth about the history of the equity and access initiative, how efforts of Fresno counselors and the district’s higher education partners have improved students’ access to college, and progress and challenges in expanding equity and access work to other district departments and to site-level planning efforts. It also describes the importance of senior leadership commitment, having an explicit guiding principle, a data system with timely and actionable data (to change opportunities and outcomes for individual students), and the long-term process of creating a culture of continuous improvement. In response to the highly anticipated results of the first Smarter Balanced administration, State Board of Education President Mike Kirst shares his impressions of the scores in the San Francisco Chronicle. Kirst first emphasizes the importance of viewing the results as baseline data for college and career readiness and to inform teacher preparation and support. Approximately half of California’s students met or nearly met mathematics and English Language Arts achievement standards, yet achievement gaps continued to exist for traditionally disadvantaged students. Kirst argues that these results point to the growing urgency for schools to focus on the state’s key priorities of improving achievement and implementing academic standards. He also cautions that change takes time. Efforts to train and assist educators in delivering instruction that meets the expectations of the state standards are only beginning to reach classrooms and will require patience. Marc Johnson, co-director of the Central Valley Educational Leadership Institute and former superintendent of Sanger Unified School District, authored his first book, How to Coach Leadership in a PLC. Drawing from Johnson’s experience bringing professional learning communities (PLCs) into Sanger, the book outlines key considerations for leaders implementing the culture and structural shifts required to make PLCs sustainable. He writes that the foundation of a strong team is one that shares the same priorities and vision; these values need to be shared in order to ensure consistent messaging throughout all levels of the system. Johnson then focuses on the key leadership roles at all levels of the system (e.g. district, school, team), and how each must contribute to student learning. He draws on research and his own experience to highlight the importance of building capacity and providing support for individuals to succeed in leading PLC work. Finally, Johnson suggests strategies for monitoring and continually analyzing outcomes throughout the implementation process in order to sustain PLCs for long term system-wide improvement. A new report from the American Institutes for Research, co-authored by the Collaborative’s deputy director Joel Knudson, tells the story of how the CORE Districts came into existence and designed their early work together. The report documents the ways in which existing relationships and the political opportunity offered through California’s Race to the Top Round 2 application set the stage for a new 10-district partnership focused on Common Core implementation and teacher quality. It also describes the participant-identified outcomes from CORE’s early work and outlines considerations for other districts embracing models of cross-district collaboration. The full report and an accompanying brief with lessons for district leaders are both available on the AIR website. An Education Week article features insights from Oakland Unified School District (OUSD) Superintendent Antwan Wilson on building student voice as a form of engagement in school systems. According to the article, student voice enables school leaders to elicit honest feedback and learn from the students they seek to serve. Wilson describes this power through the student lens, noting that as students, “begin to feel agency, they begin to feel effective in their ability to make a difference at school.” District leaders featured in the article posit that this in turn results in higher student engagement and positive outcomes such as reduced suspension and dropout rates. Wilson and other superintendents argue that school leaders should be intentional about the ways they incorporate student voice into school improvement efforts. The article identifies three strategies to help meaningfully incorporate student voice: (1) conducting climate surveys analysis with school leaders and students, (2) hosting student and teacher discussions about school related problems, and (3) facilitating the development of student-produced mixed media to communicate personal experiences. OUSD is an example of how districts are taking these strategies and other methods to incorporate student voice into policy decisions and, equally important, develop engaged populations in and out of the classroom. George Bohrnstedt, Coburn, Kenji Hakuta, Jennifer O’Day, Warren Simmons, and Mike Smith also contributed to additional presentations as session discussants or chairs. Aida Walqui, Director of the Teacher Professional Development Program at WestEd, shared insights on the Next Generation Science Standards and English language learners in a presentation at the National Science Teachers Association (NSTA) annual conference. The presentation, The Development of Deep and Generative Practices, proposed a theoretical and pedagogical shift rooted in language as teachers prepare for the Next Generation Science Standards. Walqui emphasized the importance of bridging teaching with an understanding of student knowledge where educators prepare students to actively engage in their level of learning and lead them through increasing levels of linguistic complexity. Through an integrative pedagogical approach, science teachers can scaffold conceptual and contextual lessons where teachers and students take on multiple roles in the process of teaching and learning. Ultimately, Walqui suggests that a science teacher’s role is to provide a bridge with scaffolds between the student’s “everyday” language and the technical language needed for effective participation in academic activities and goals. Collaborative member Jonathan Raymond, president of the Stuart Foundation and former superintendent of Sacramento City Unified School District, participated in a panel about implementing California’s Local Control Funding Formula (LCFF) that was hosted by the Public Policy Institute of California. Raymond described LCFF as an opportunity to reassess and co-create the purpose of education in California with students, families, and community members. To that end, he considers authentic relationship building across stakeholder groups to be at the center of this work. In Raymond’s experience as a superintendent, he saw that these relationships can facilitate the needed shift in accountability from a punitive focus to an orientation toward continuous improvement and teamwork. He suggested that the state, county offices of education, and the California Collaborative for Educational Excellence assist districts in developing authentic relationships with other stakeholders and shining a light on best practices from which others can learn. Raymond observed that his collaborations with networks of other California districts during his time as superintendent were critical to discovering and replicating best practices, and argued that the state should incentivize others to do the same to avoid reinventing the wheel. An Education Week special report spotlights Richard Carranaza, San Francisco Unified School District (SFUSD) Superintendent Richard Carranza as a Leader to Learn From in recognition of his advocacy for an equitable approach to bicultural education and biliteracy. Influenced by his background as an English learner (EL), Carranza’s commitment to ELs in the public school system goes beyond literacy in the classroom to providing EL families support through translated information and community resources. Fundamentally, Carranza’s work centers on supports for ELs as part of a broader agenda of equity that seeks to position students for success by respecting and leveraging their personal history. Carranza believes that language is an asset and should motivate the way the system meets the needs of students. This belief is evident in the district decision to cut central-office expenditures before cutting funds from school sites to concentrate funds in schools with high EL populations. Education Week portrays Carranza’s work in SFUSD as an example of how districts can build systems of support from the district to the classroom for its most underserved populations. California Collaborative District Leaders Build Leadership Capacity with Bain & Co.
Several California Collaborative superintendents have built a network of K-12 system leaders from both traditional public school districts and charter management organizations to develop their individual leadership capacity. Through the Stuart Foundation California Leaders of Education (SCALE) Initiative, these district leaders have participated in a series of workshops organized by California Education Partners and the consulting firm Bain & Company. Through these learning opportunities, the superintendents explore tools and strategies to improve areas like communication, decision making, and change management, while also drawing on the experiences and insights of their peers to inform their own practice. A new report written by California Collaborative deputy director Joel Knudson, Building Leadership Capacity in California’s Public Education Systems: Lessons from the SCALE Initiative, describes the origins of the initiative and document its evolution over time. It also identifies some of the key lessons learned from the experience that might inform other district leaders seeking to develop a similar learning network. In a commentary piece for EdSource Arun Ramanathan, CEO of Pivot Learning Partners, argues that the Local Control Accountability Plan (LCAP) and the Common Core State Standards offer an opportunity to press restart on our education system by refocusing investments to support instruction, especially in service of high-needs students. An examination of the first round of district LCAPs by Pivot Learning Partners finds that district plans exhibit an incoherent, “shotgun style” approach to meet all state priority areas listed in the LCAP. Ramanathan contends that districts will be more effective if leaders work with their communities and advocacy groups to prioritize investments provided by the Local Control Funding Formula. He adds that state and county leaders can advance this work by viewing the accountability plans as strategic education plans as opposed to compliance checklists or platforms to funnel investments to narrowly-focused programs. Furthermore, once teachers build the capacity to teach the new standards, district leaders can design interventions to fit in a tiered system of academic and socio-emotional interventions to help all high-needs students achieve academic success. In a report examining the Sanger- Firebaugh District Partnership, Collaborative member Joan Talbert, senior research scholar emerita at Stanford University, and Jane David, director of the Bay Area Research Group, detail the key elements that have contributed to a successful partnership, lay out the conditions ­framing its scope and efficacy, and offer a set of questions to consider for future district-partnerships. How District Partnerships Can Help Build Learning Organizations seeks to dispel the myth that district partnerships are smooth, rapid, and immediately foolproof solutions. Instead, the report reveals that at a fundamental level, a productive district partnership demands a shift from “business as usual in district interactions” and requires movement toward norms of transparency, knowledge-sharing, and collaboration. The report suggests that when districts commit to their partnerships through a shared vision, agree on a broad agenda to orient goals, develop structures that support relationship-building, generate access to external resources, and contain internal and external feedback loops, they can engage in a productive process of continuous improvement. While no district partnership will be exactly the same, the aforementioned elements can help guide the development of learning organizations and provide a strong framework for evolving relationships between districts working towards continuous school improvement. Kenji Hakuta, Professor of Education at Stanford University, will offer two Massive Open Online Course (MOOC) this fall, crafted to help educators and administrators support students’ language and content learning in light of the Common Core State Standards. In Constructive Classroom Conversations: Mastering Language for College and Career Readiness, educators will learn to systematically observe, collect, and analyze student language using the Conversation Analysis Tool, as well as plan instruction designed to promote student’s conversation skills. Dr. Hakuta will be joined by co-teachers Jeff Zwiers and Sara Rutherford-Quach, both researchers at the Understanding Language initiative. The second MOOC, Supporting English Language Learners under New Standards, is a collaboration with Oregon State University (OSU) and the Oregon Department of Education. The course will focus on assessing students’ use of evidence to support their claims through analysis of student language samples, then using this knowledge to design curriculum. Dr. Hakuta and Sara Rutherford-Quach will join OSU assistant professor Karen Thompson as instructors for the course. Additional information is available on the Understanding Language Website. Ted Lempert, President of Children Now, spoke at a Local Control Funding Formula (LCFF) kickoff meeting hosted by the League of Women Voters® of California. In an article written for the September kickoff, LCFF Regulations a Step in the Right Direction and More Work Remains, Lempert notes that proposed revisions to LCFF regulations, in part influenced by advocacy groups and the public’s voiced concerns, address a demand for greater clarity that funding generated by high-needs students be “principally directed to benefit those students.” At the same time, he maintains that proposed revisions preserve LCFF’s commitment to local flexibility by allowing local districts to choose programs, strategies, and services they see fit to serve the various needs of their students. Lastly, Lempert notes that although modifications were made to the Local Control Accountability Plan template, work to increase transparency for public stakeholders still remains. Christopher Steinhauser, Long Beach Unified School District (LBUSD) superintendent, was appointed to the College and Career Readiness and Success (CCRS) Center Advisory Board. The CCRS Center, a dynamic technical assistance hub funded by the Office of Elementary and Secondary Education at the U.S. Department of Education, provides resources and support to 15 regional comprehensive centers and the states they serve as well as the broader public via technical assistance services, webinars, a website, and social media that promote college and career readiness and success for all students. LBUSD’s commitment to integrative college and career readiness practices and postsecondary success for all students led to Steinhauser’s appointment. As the only local education agency representative on the Advisory Board, Steinhauser will offer a distinct perspective that will contribute to the CCRS Center’s commitment to helping states monitor and address education needs at the local level and carrying out strategies and activities that promote improved student achievement. Engagement in the Advisory Board includes participation in CCRS Center meetings among nationally recognized researchers, experts, practitioners, and PK-20 educators and ongoing communications with the CCRS Center leadership and staff on the prioritization of work and counsel on current and future endeavors. Warren Simmons, executive director of the Annenberg Institute for School Reform (AISR) at Brown University, is a contributing editor of AISR’s new report, Leveraging Time for School Equity: Indicators to Measure More and Better Learning Time. The More and Better Learning Time (MBLT) initiative seeks to add time to the school day and year, as well as improve the quality of time in school, to improve educational and social opportunities and outcomes for students residing in high poverty areas. The report provides an introduction to the goals and design of the MBLT initiative, as well as the factors that guided the development of a framework of indicators that can track progress at three levels: the student, the school, and the system. The report then introduces the indicators themselves, which are designed to align with MBLT principles and goals and can help researchers, educators, community groups, and funders successfully implement MBLT. Collaborative members Arun Ramanathan, CEO of Pivot Learning Partners, and Rick Miller, Executive Director of the California Office to Reform Education, spoke as panelists at a conference hosted by the Policy Analysis for California Education (PACE) entitled, Implementing the Common Core in California: Reports from the Field. Ramanathan emphasized that adjusting to new standards is not a completely foreign process, but rather one that education leaders have simply not engaged with in recent years. He highlighted findings from Pivot’s recent report, Getting to the Core: How Early Implementers are Approaching the Common Core in California, which suggests that successful implementation is possible in districts that steadily integrate small pieces of the Common Core requirements and that have teachers that collaborate together on assessment methods. Ramanathan also observed that conversations about the Local Control Funding Formula (LCFF) tend to be detached from the Common Core in many districts. He advised that the discussions should be in tandem with each other, especially since LCFF’s explicit commitment to equity can propel the Common Core to be seen as a vehicle to get there. Rick Miller concluded the panel by expressing his concern about the limited amount of time districts have to implement the Common Core. He encouraged the use of collaboration, both as a state and a nation, to share best practices in this process. A link to the conference video recordings can be found on PACE’s website. Aida Walqui, Director of the Teacher Professional Development Program at WestEd, recently co-authored the report Changes in the Expertise of ESL Professionals: Knowledge and Action in an Era of New Standards. In the context of a shifting education landscape, this paper explains the challenges and the possibilities that new standards pose for English as a second language (ESL) professionals—the teachers, teacher leaders, school principals, district administrators, and other K–12 educators who work with English language learners (ELLs). The report provides an overview of what the authors call the New Standards Era and the ways in which the Next Generation Science Standards, English Language Proficiency Standards, and Common Core State Standards impact ESL professionals. The authors make a case for harnessing the transformative opportunity of the new standards context to redefine and re-conceptualize K-12 ESL professionals’ roles, the instruction they provide, the expertise they utilize, and the contexts to facilitate student learning. Concurrently, the authors argue that awareness of English as an essential language for 21st century success serves as a driving force for ESL professionals to create knowledge about language and language acquisition into actionable expertise to support ELLs. Walqui and her co-authors presented their work at a June 2014 webinar entitled Changes in the Expertise of ESL Professionals in the Era of New Standards. Jorge Ruiz de Velasco, Associate Director of the John W. Gardner Center for Youth and Their Communities at Stanford University, introduced the College Readiness Indicator System (CRIS) resource series at a seminar in Sacramento hosted by Policy Analysis for California Education (PACE). The CRIS is a systemic approach to prepare all students for college that includes a range of indicators, identifies research-based supports linked to the indicators, addresses reliable data infrastructure, and seeks to build system-wide capacity to use the data to inform action. In partnership with University of Chicago and Brown University, the Gardner Center has studied the implementation of a CRIS in five urban school districts across the country over a period of three years. This seminar outlined the central CRIS components and identified early lessons learned to help schools, districts, and state agencies to fulfill college readiness mandates and advance educational equality. Dr. Ruiz de Velasco was joined by colleague and co-presenter Kara Dukakis. 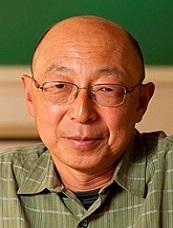 Kenji Hakuta, Professor of Education at Stanford University, is offering a new free Massive Open Online Course (MOOC) in May, intended for instructional coaches and leaders. The curriculum will focus on formative assessment practice to support the language demands of the Common Core State Standards. In this introductory course, participants will learn to systematically observe student language through data collection, analysis, and group discussion. Data collected and insights gained throughout the course will contribute to the design of a more comprehensive formative assessment course expected to serve teachers in fall 2014. Dr. Hakuta will be joined by co-teachers Jeff Zwiers and Sara Rutherford-Quach, researchers at the Understanding Language initiative. Additional information is available on the Understanding Language website. Coburn, Hakuta, and Warren Simmons also contributed to additional presentations as session discussants. Dr. Rose Owens-West, Director of the Region IX Equity Assistance Center at WestEd, urges education players to keep sight of achieving equity when implementing Common Core State Standards in a webinar entitled We Can Achieve Equity Through Implementing the Common Core. Owens-West identifies critical dimensions to meet equity goals—attending to the needs of parents, teachers, and students in all stages of Common Core implementation. The webinar highlights the need to equip parents with tools to understand the transitioning Common Core education framework, provide teachers with extensive supports to pursue effective instruction, and symbiotically encourage and challenge students to take ownership of their learning under the new system. Kenji Hakuta, Professor of Education at Stanford University, will offer several free Massive Open Online Courses (MOOCs) this spring to focus on supporting the language demands of the Common Core State Standards. A pair of courses (one geared for elementary teachers and one for secondary teachers) will focus on constructive classroom conversations, and a third course will focus on uses of language in elementary mathematics, including attention to students’ engagement with text and writing in math. Through these courses, educators will gather, analyze, and share examples of student discourse from their classrooms in order to better understand existing talk. The classes aim to prepare participants to facilitate higher quality conversations, which should in turn help students acquire the knowledge and skills required by the Common Core. Dr. Hakuta will be joined by co-teachers Jeff Zwiers and Sara Rutherford-Quach, both researchers at the Understanding Language initiative. Additional information is available on the Understanding Language website. Brad Stam, Vice President and Chief Operating Officer of ConnectEd, served as a panelist on the March 21 webinar Implementing College- and Career-Ready Standards: California’s Linked Learning Approach. Together with fellow panelists Bob Wise (President of Alliance for Excellent Education), Theresa McEwen (Director of High School Redesign in Sacramento City Unified School District), and Louie Rocha (Principal of Antioch High School), Stam explored how the Linked Learning approach to school reform complements efforts to implement the Common Core State Standards. The Linked Learning approach to high school education integrates the rigorous academic standards of the Common Core with real-world career readiness experiences. Stam and fellow panelists explored the advantages of this innovative approach and how it aligns with academic standards, curriculum, and instruction. For more information, and to watch the full length webinar, visit the All4Ed website. For resources on Linked Learning from the California Collaborative’s meeting in Long Beach, please see the Meeting 17 page of this website. Aída Walqui, Director of the Teacher Professional Development Program at WestEd, delivered a keynote speech at two recent symposia about the needs of English Learners (ELs) in the implementation of the Common Core State Standards (CCSS). Walqui set the context for the day’s conversations with a discussion of the literacy skills required to participate in today’s evolving workplace and democracy. With economic inequality on the rise, she argued that it is ever more important for our education system to live up to its promise to be the “the great equalizer,” rather than “the great exacerbator,” of access to prosperity and civic engagement. Walqui identified shifts in the design and enactment of language learning which must accompany CCSS implementation to realize this vision. The pair of symposia, called Moving Forward with Common Core State Standards: Fostering a Learning Culture for English Learners and their Teachers, took place on February 25 in Irvine and on February 26 in Oakland. They brought together district leaders and other stakeholders from across the state and used a combination of presentations and breakout sessions to examine the latest research, resources, and best practices to support ELs within the context of CCSS implementation, including state-sponsored tools, frameworks, and professional learning modules. The California Collaborative on District Reform partnered with REL West and California Education Partners to sponsor the events. These organizations co-sponsored similar symposia focused on other elements of CCSS implementation in August 2012, June 2013 and November 2013. For more information on the Brock International Prize in Education visit Brockprize.org. 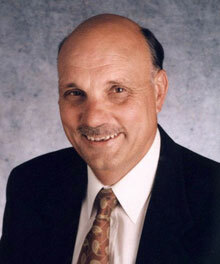 The Sacramento Bee featured State Board of Education (SBE) president Michael Kirst as one of seven Californians to Watch in 2014. Building on a fifty year career in the education policy realm that has included roles in the U.S. Bureau of the Budget, at Stanford University, and in two stints with the SBE, Kirst will play a major role the upcoming year in guiding implementation of the Local Control Funding Formula (LCFF), a new system of resource allocation designed to more equitably allocate money to California public school districts. While the article characterizes the LCFF as a strong improvement over the state's previous convoluted system of school funding, disputes remain about the state's role in the money's use and the balance between preserving local flexibility and ensuring that resources go to meet the needs of the students who generate them. Despite these different perspectives, President Kirst remains optimistic about the LCFF's potential to improve California education. The article describes upcoming SBE actions that will guide LCFF implementation, including a January decision on regulations on the use of the formula's supplemental and concentration funds, a template for districts to submit detailed three-year Local Control and Accountability Plans, and a plan to measure district performance in meeting LCFF parameters. Kirst and the SBE will continue to play a prominent role in negotiating compromise among different stakeholder groups while ensuring that the LCFF meets its original goals of equity, local control, and accountability. In an EdSource Today commentary piece, Los Angeles Unified School District (LAUSD) Superintendent John Deasy calls on California superintendents to invest in summer learning in order to advance school districts’ top priorities. Deasy asserts that summer learning programs create a learning laboratory for teachers to practice Common Core techniques, such as encouraging students to tackle complex, open-ended questions, make active choices related to what they are learning, and connect with themes and knowledge across subject matters. He also argues that summer learning programs enhance students’ social and emotional skills, which will subsequently improve student engagement, overall school climate, and advance the student achievement priorities of the Local Control Accountability Plans that districts are charged with completing as a component of the new Local Control Funding Formula. To learn more about summer learning programs already operating in LAUSD and other California districts, Deasy urges members of the education community to read a new series of reports by the Summer Matters campaign, entitled Putting Summer to Work: the Development of High-Quality Summer Learning Programs in California, which profile summer learning programs and explore their impact on teachers and students. The commentary piece was written in collaboration with Collaborative members Jonathan Raymond and Gary Yee, along with superintendents Michael Berg of Central Unified School District and Ron Carruth of Whittier City School District. Outgoing Sacramento City Unified School District (SCUSD) Superintendent Jonathan Raymond authored a Washington Post article reflecting on the United States’ poor performance on the Program for International Student Assessment (PISA). Raymond argued that in order to bridge the gaps with higher achieving countries and overcome inequities within the American education system, adults must explicitly model and teach children the social and emotional skills – such as perseverance, goal-setting, and relationship-building – that will give them the motivation, confidence, and ability to succeed in school and the workplace. Raymond described efforts underway in eight urban school districts as a promising model to improve social and emotional learning for students and emphasized the need to continue prioritizing this work. After four-and-a-half years at the helm of SCUSD, Jonathan Raymond concluded his tenure as superintendent in December 2013. An EdSource Today article reflected on Raymond’s contributions to the district, noting that he oversaw implementation of the Common Core State Standards; expanded summer programs; led a shift toward social-emotional learning; and forged new partnerships with parents, businesses, and the community. More controversial were his decisions to exempt teachers at certain low performing schools from seniority-based layoffs and to adopt a federal No Child Left Behind waiver that requires the adoption of a new teacher evaluation system. The article includes observations from other members of the education community as well as audio recordings from an interview with Raymond. Joe Johnson, Executive Director for the National Center for Urban School Transformation (NCUST), delivered a keynote speech at the annual conference of the California Educational Research Association (CERA) in December. Johnson highlighted key themes emerging from NCUST’s study of its National Excellence in Urban Education Award Program winners. The keynote identified eight instructional practices common in exemplary schools, including focusing on mastery, constructing essential vocabulary, and leading students to love learning. Johnson also outlined several factors that enable these instructional practices to develop and achieve success. Among these factors were building collaboration and trust by protecting time for teachers to work together and developing a team-oriented culture; making teaching public by opening classroom doors and engaging in frequent observation, feedback, and support; and persisting in improvement efforts by celebrating progress and overcoming inevitable setbacks. NCUST will host the National Excellence in Urban Education Symposium in May 2014 to further share lessons from educators at high-performing urban schools. A new book by Collaborative member Joan Talbert, senior research scholar emerita at Stanford University, and Jane David, director of the Bay Area Research Group, tells the dramatic improvement story of Sanger Unified School District. Turning Around a High-Poverty District: Learning from Sanger explores how a commitment to transparency, accountability, and the use of professional learning communities in Sanger led to impressive growth in student achievement under the direction of then Superintendent (and Collaborative member) Marc Johnson and Deputy Superintendent Rich Smith. The authors highlight and deepen many of the lessons that emerged during the California Collaborative’s November 2010 meeting in Sanger, Professional Learning Communities: Using Data to Collaboratively Improve Instruction for ELs, which addressed the power of collaboration and use of both formative and benchmark assessments (especially for English learners) in transforming chronic underperformance at the school level into sustained, high achievement. Talbert and David make the case that Sanger has a strong foundation for new Superintendent Matt Navo to continue the district’s ongoing success and to tackle opportunities and challenges that may arise from Common Core implementation. The book also features a forward by Collaborative member Ken Doane of the S.H. Cowell Foundation, which funded Talbert and David’s research. Acting Superintendent Gary Yee recently announced a new partnership between Oakland Unified School District (OUSD) and the City of Oakland and Peralta Community College District to better prepare students for college and career. The partnership will involve an expansion of Linked Learning academies – college and career preparatory programs which integrate academics, technical education, and work-based learning – to serve 80 percent of OUSD’s 10th – 12th grade students by 2016 (an increase from 42 percent currently enrolled in Linked Learning academies). The California Community College Linked Learning Initiative of the Career Ladders Project, an Oakland-based non-profit, will facilitate leadership meetings, support data exchange and analysis, and provide technical support to the partnering organizations. Dr. Yee described Linked Learning as “a universal high school transformation” that can “help students apply the academic skills they are learning in school to solve real world issues and, ultimately, show them how their high school education directly relates to their career interests and aspirations.” The movement also dovetails with the district’s community schools movement launched by the former Superintendent and Collaborative member Tony Smith. Kenji Hakuta, Professor of Education at Stanford University, has announced the launch of a free Massive Open Online Course (MOOC) for teachers called “Constructive Classroom Conversations: Mastering the Language of the Common Core”. Through this course, educators will gather, analyze, and share examples of student discourse from their classrooms in order to better understand existing talk. The class will prepare participants to facilitate higher quality conversations, which help students acquire the knowledge and skills required by the Common Core State Standards (CCSS). In particular, the course will explore how educators can support English Language Learners and students in linguistically diverse classrooms. Dr. Hakuta will be joined by co-teachers Jeff Zwiers and Sara Rutherford-Quach, both researchers at the Understanding Language initiative. The course will run from October 21st through December 9th. In an op-ed appearing in the San Francisco Chronicle, Mike Kirst argued that California’s adoption of the Common Core State Standards (CCSS) is only the first of many challenging yet critical steps to ensuring that students leave high school prepared for college and career. Kirst feels that the CCSS establish the right benchmarks for what students should know and be able to do at each grade level, while preserving an appropriate level of local control by leaving the development of curriculum frameworks and choice of instructional materials to states and districts. Nevertheless, important challenges remain. Kirst highlights the importance of giving teachers time and training to develop new lessons that focus on students’ abilities to analyze, evaluate, derive, and model concepts. California also will need a new accountability system which combines measures of student success such as attendance and graduation rates, school discipline data, and measures of college and career readiness with student achievement data collected through new, computer adaptive tests designed to assess students’ progress against the CCSS. Successful implementation will require a large investment of resources. Kirst argues, however, that California’s new Local Control Funding Formula will help give districts the much needed flexibility to navigate these changes and work toward making promise of the CCSS – college and career readiness for all students – a reality in California. Mike Kirst is the president of the California State Board of Education and Professor Emeritus of Education and Business Administration at Stanford University. The U.S. Department of Education granted a waiver from six requirements of the Elementary and Secondary Education Act to Fresno, Long Beach, Los Angeles, Oakland, Sacramento City, San Francisco, Sanger, and Santa Ana Unified School Districts. These eight districts, along with Clovis and Garden Grove Unified School Districts, collectively educate over a million students and make up the California Office to Reform Education (CORE), a consortium of districts dedicated to collaborative innovation and knowledge sharing. The first of its kind to be granted to districts as opposed to states, the waiver will allow the eight districts to implement a new accountability model called the School Quality Improvement System which is based on a holistic vision of student success, a collective moral imperative to prepare all students for college and career, and an emphasis on eliminating disparities between subgroups of students. The districts will conduct self and peer evaluations which will be reviewed by an oversight panel comprised of diverse stakeholders. Across the eight districts, the waiver is expected to free up about $110 million in Title I funds, which can be used for school improvement. Eight of the ten CORE districts are led by Collaborative members Michael Hanson, Chris Steinhauser, John Deasy, Gary Yee, Jonathan Raymond, Richard Carranza, Matthew Navo, and Gabriela Mafi. 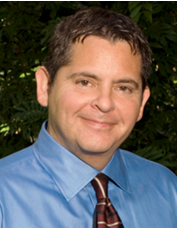 Collaborative member Rick Miller serves as CORE’s Executive Director. For an interview with Miller about the CORE waiver, please see The Hechinger Report. Edgar Cabral, principal fiscal and policy analyst in the Legislative Analyst’s Office, co-authored An Overview of the Local Control Funding Formula, which describes the details of California’s Local Control Funding Formula (LCFF) and accompanying system of district support and intervention. The report explains that the LCFF establishes an equal level of base funding for all students in the state, allocates additional funding to districts with high amounts of students in need, and reduces restrictions on district spending. The report includes LCFF’s implementation timeline, distributional effects, and impact on the overall state budget allocation for education. To ensure transparency and accountability, the legislation requires districts to adopt Local Control and Accountability Plans (LCAPs) describing how funds will be spent and goals for educational outcomes. The report concludes with a discussion of major work ahead, including State Board of Education adoption of LCAP templates, rubrics for assessing school district performance, and regulations for use of supplemental and concentration funds. Ellen Moir, founder and Chief Executive Officer of the New Teacher Center (NTC), was interviewed in a PBS NewsHour segment on the use of mentorship for new teachers as a way to improve student learning and combat rising rates of teacher turnover. The NTC trains and supports veteran teachers to provide new teachers with one-on-one mentoring and professional development. In the segment, Moir observes that “really talented teachers are not born, they are made and we have to be systematic about it and build off the talent that we have in our school systems.” Nationally, approximately 50 percent of teachers leave the profession within their first three to five years, contributing to an estimated seven billion dollar annual cost of teacher turnover. The NTC partners with states and districts to implement new teacher induction programs, works with state policymakers to promote policy environments supportive of new teacher induction, and contributes to the national dialogue on teacher effectiveness. Through its work in all 50 states, reaching over 15,000 teachers with about 7,000 veteran teachers, Moir estimates that the NTC is raising new teacher retention in its partner districts by approximately 20 percent. Sacramento City Unified School District (SCUSD) Superintendent Jonathan Raymond delivered a keynote speech at a recent symposium on district-level implementation and assessment of the Common Core State Standards (CCSS). Raymond discussed SCUSD’s path to implement the CCSS, which has included building consensus, supporting professional learning, and developing support infrastructure. He also shared lessons learned over the course of implementation, such as recognizing the importance of shifting from teacher-centered to learner-centered instruction and the key role played by school and district leadership. In particular, SCUSD chose not to begin implementation with a gap analysis between their past practice and the CCSS but rather to redesign the entire system, leading to valuable learning and the ability to address educators’ conceptual understandings and expectations around rigor. In short, Raymond described the district’s approach to implementing the CCSS as “going slow to go fast”. The symposium, Moving Forward: Common Core State Standards Implementation and Assessment took place on June 25 and 26 in Los Angeles. It brought together district leaders and other stakeholders from across the state, used a combination of presentations and breakout sessions to examine the instructional shifts called for in the Common Core, emerging practices for effective implementation, and opportunities for collaboration that can facilitate a successful transition to the Common Core. The California Collaborative on District Reform partnered with REL West and California Education Partners to sponsor the event. These organizations co-sponsored a similar symposium in August 2012 in Northern California. In a recent Sacramento Bee op-ed article, Collaborative member Mike Kirst and California Superintendent of Public Instruction Tom Torlakson argue that California should not delay its implementation of the Common Core State Standards (CCSS). Kirst and Torlakson acknowledge that successful implementation of the CCSS will require substantial investments in teacher training, new classroom materials, and updated technology to administer new computer-based assessments aligned with the CCSS. These costs are particularly daunting at a time when the state’s education system is just beginning to recover from severe financial distress which, despite the recent passage of Proposition 30, will take years to be fully alleviated. Despite these challenges, Kirst and Torlakson believe that in the face of rigorous and ever increasing demands of the 21st century workplace, California cannot afford to delay CCSS implementation. Specifically, without ensuring that all students have the critical thinking, communication, collaboration, and problem-solving skills valued by employers – and emphasized in the CCSS – California risks jeopardizing its own economic future. Mike Kirst is the president of the California State Board of Education and Professor Emeritus of Education and Business Administration at Stanford University. Michael Kirst: College and Career Readiness Assessments: How Will Scores Be Used by Higher Education? In addition, Collaborative members Kenji Hakuta, Jennifer O’Day, and Joan Talbert participated in the conference as panel chairs and discussants. Carranza also advocated for the LCFF in a recent op-ed appearing in the San Francisco Examiner. Not only would the LCFF allocate dollars in a more equitable way (with no district receiving less than it received in the 2012-13 school year) and allow districts the flexibility to address local needs, but Carranza argues that the LCFF is an important step toward raising the overall level of funding that California directs toward education. While California currently ranks 47th out of 50 states in per-pupil funding, under Governor Brown’s proposal, the state-wide average could grow from $6,565 to as much as $10,450 per-pupil in the next five years. Fundamentally, Carranza argues, providing equitable and adequate levels of resources for all students is not only the right thing for students, but is critical to the state’s future economic health. 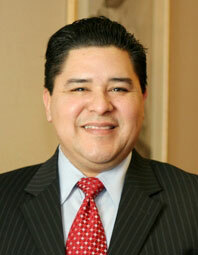 Richard Carranza is Superintendent of San Francisco Unified School District. In a recent interview with New America Media, Mike Kirst discussed the legal and political history of California’s current education finance system and how Governor Jerry Brown’s proposed Local Control Funding Formula (LCFF) can more equitably allocate state funding to districts and allow them the flexibility they need to meet rising expectations of college-readiness. After the California Supreme Court’s 1971 ruling in Serrano v. Priest declared the state’s school finance system based on property tax wealth to be unconstitutional, Kirst helped then-Governor Jerry Brown to reduce funding disparities among California’s over 1,000 school districts. Kirst argues that the LCFF will take the next step toward funding equity by directing additional resources toward districts based on the number of low income and English learner students they serve, as well as concentrations of such students. Though originally intended to promote equity, the state’s current convoluted system of categorical funds that tie resources to specific groups of students limits districts from using funds as efficiently and effectively as possible. Kirst argues that local discretion offered by the LCFF is essential for districts to mobilize resources they will need to effectively implement the Common Core State Standards. Mike Kirst is the president of the California State Board of Education and Professor Emeritus of Education and Business Administration at Stanford University. Mike Kirst, president of the California State Board of Education and Professor Emeritus of Education and Business Administration at Stanford University, authored a policy memorandum outlining the impact of the Common Core State Standards (CCSS) on key state education policy areas. He argues that to successfully implement these standards which hold a new vision for teaching and learning in the 21st century, California must build 21st century capacity in its educational institutions and policies. Kirst discusses how the state must re-think its policies and programs in areas such as assessment, accountability, finance, preschool, special education, and teacher preparation, professional development, and evaluation. In addition to aligning its K-12 educational policies with the CCSS, Kirst argues that California must harmonize policies between K-12 and post-secondary institutions to reflect the changing standards. Clovis, Fresno, Long Beach, Los Angeles, Oakland, Sacramento, San Francisco, Sanger, and Santa Ana Unified School Districts have collectively submitted an Elementary and Secondary Education Act (ESEA) waiver request to the U.S. Department of Education. Along with Garden Grove Unified, these districts make up the California Office to Reform Education (CORE), a consortium of districts dedicated to collaborative innovation and knowledge sharing. The superintendents of nine out of the ten CORE districts are also Collaborative members. With its waiver request, CORE seeks a new system of accountability based on four goals: (1) expectations of college and career readiness for all students, (2) an emphasis on capacity-building over accountability, (3) fostering of intrinsic motivation for change, and (4) targeted capacity-building for instructional and leadership effectiveness. If the waiver is approved, any district in California would be eligible to join the alternative accountability system should it agree to the waiver’s requirements. At their March meeting, California State Board of Education members lauded the waiver and unanimously authorized Collaborative member and State Board President Mike Kirst and State Superintendent Tom Torlakson to send formal commentary on the waiver to U.S. Secretary of Education Arne Duncan. Rose Owens-West, director of the Region XI Equity Assistance Center at WestEd, presented in a SchoolsMovingUp webinar entitled Comprehensive, Equitable Induction of Beginning Science and Mathematics Teachers. The webinar focused on the specific knowledge, skill, and resource needs of novice teachers of Science, Technology, Engineering and Mathematics (STEM) subjects. Drawing on a 10-year body of research, Owens-West and Ted Britton, Associate Director of STEM at WestEd, discussed promoting college and career readiness by improving STEM teachers’ content knowledge through differentiated induction programs and professional development. Owens-West discussed the equity aspects of this topic and provided an overview of the Equity Assistance Center’s services. In anticipation of President Obama’s State of the Union Address, Tony Smith, Superintendent of Oakland Unified School District, authored a Huffington Post article in which he offered recommendations for addressing the needs of all American children. Smith emphasized that the success of our nation depends on the quality of all our public schools. Consequently, he argues that schools should provide for the whole child – addressing the physical and emotional health and safety of students and the economic and social conditions which present barriers to student academic performance – to ensure that all students have the opportunity to succeed in school. Finally, Smith cautions against the Obama Administration’s competitive approach to education reform, which fosters a narrow, “teach to the test” mentality. Instead, he argues that educators across the country should work collaboratively to tackle challenges, such as the implementation of the Common Core State Standards. Oakland Unified School District Superintendent Tony Smith co-authored an op-ed in the San Francisco Chronicle arguing for state school finance reform to reduce current funding disparities among districts, increase local control over use of funds, and simplify the overly complex and burdensome state-mandated reporting obligations. Smith explains that control over use of funds will help districts meet the unique needs of their students and keep up with increasing academic expectations, particularly in this time of scarce resources. In addition to allocating a flat base rate per student, the authors support a formula which would provide additional resources to districts proportional to their numbers of low income and English learner students. Such a system, Smith argues, would increase efficiency and transparency in the use of taxpayer dollars and increase accountability by giving district officials more authority over resource allocation decisions in order to better meet local needs. California Collaborative member Kristi Kimball has joined the Schwab Foundation as its Executive Director. In addition to managing its overall operations, she will direct the foundation’s grantmaking in K-12 education and human services. Prior to this position, Kimball worked with a number of education policy, evaluation, and grantmaking organizations, including an eight year term as a program officer with the William and Flora Hewlett Foundation. Before entering the philanthropic field, Kimball spent time at the U.S. Department of Education and the Education Office of the U.S. Senate Health, Education, Labor, and Pensions Committee. In the area of K-12 education, the Schwab Foundation supports organizations across California such as public charter schools and programs which promote effective teaching and robust learning environments for children. 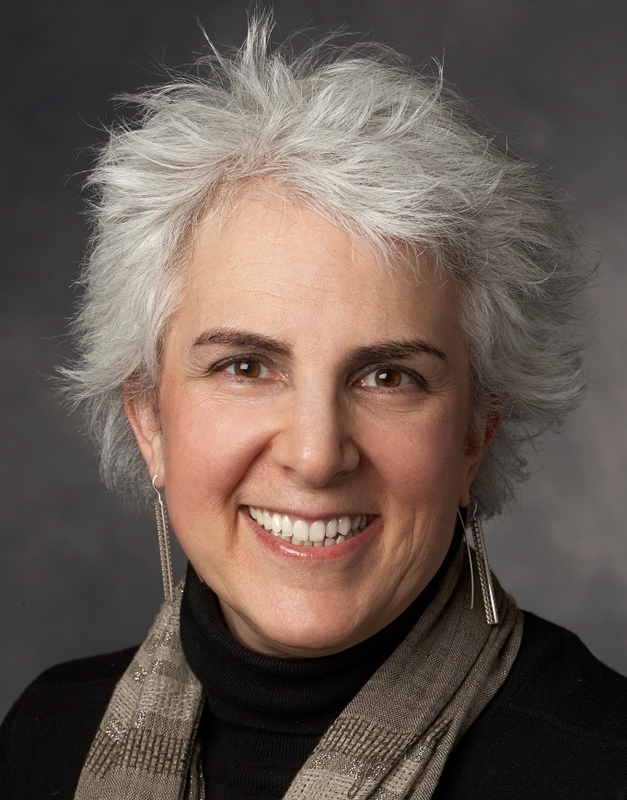 Collaborative member Cynthia Coburn has co-authored an article, Interventions to Promote Data Use: An Introduction, for a special issue of the Teachers College Record focused on data use interventions. The authors define data use interventions as “initiatives, policies, programs, and tools designed to alter the ways that educational decision-makers access, draw on, interact with, and respond to data in their ongoing work.” As an introduction to the special issue, the article highlights the increased effort to use data in practice and policy, summarizes contributions and limitations of existing research on data use interventions, and previews subsequent articles in the issue. Coburn is joined in the issue by fellow Collaborative member Warren Simmons, Executive Director of the Annenberg Institute for School Reform at Brown University, who wrote a commentary entitled Data as a Lever for Improving Instruction and Student Achievement. Coburn has also published earlier this year on the use of data in education. In February 2012, she edited a special issue, as well as co-authored the introduction, of the American Journal of Education series The Practice of Data Use. The Educator Excellence Task Force, co-chaired by Long Beach Superintendent Chris Steinhauser, has released recommendations for the state to better recruit, develop, allocate, evaluate, and support its educators in a new report, Greatness by Design: Supporting Outstanding Teaching to Sustain a Golden State. The task force was created by State Superintendent of Public Instruction Tom Torlakson in partnership with the Commission on Teacher Credentialing to assess the state of the teaching profession in California. Collaborative member Holly Jacobson, Director of the Center for the Future of Teaching and Learning at WestEd, co-chaired the sub-committee on professional learning. Collaborative member Ellen Moir, Founder and Chief Executive Officer of the New Teacher Center, served on the teacher induction sub-committee. 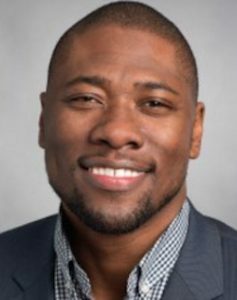 Joseph Johnson, Executive Director of the National Center for Urban School Transformation (NCUST) at San Diego State University, led a recent SchoolsMovingUp webinar entitled High Quality Instruction that Promotes Learning and Achievement for African American Male Students. The webinar highlighted instructional and school-wide practices that have been identified over the past six years through a NCUST study of urban schools that are producing exceptional academic outcomes for all students, in particular for African American males. California Collaborative member Rose Owens-West, Director of the Region IX Equity Assistance Center at WestEd, hosted the webinar. Collaborative member Kenji Hakuta has co-authored a policy brief from the Policy Analysis for California Education research center, How Next-Generation Standards and Assessments Can Foster Success for California’s English Learners. The report builds on the work done by the Understanding Language Initiative at Stanford University, a national project to address the challenges and opportunities presented by the Common Core State Standards for English learners (ELs). Hakuta writes, “California cannot afford to ignore or postpone questions of how to support the academic success of English Learners in the state’s K-12 education system” and argues that the “next-generation college-and career-ready standards signal a fundamental shift in the expectations for sophisticated language use required of all students.” The report examines the “enormous systemic implications” for how California’s policy-makers, school district leaders and educators fundamentally approach language development for ELs. Sacramento City Unified School District Superintendent Jonathan Raymond co-authored an op-ed in the Sacramento Bee arguing for greater efficiency and equity in California’s school funding system through transition to a weighted pupil formula. Last month, Superintendent Christopher Steinhauser of Long Beach Unified School District wrote a similar op-ed published in the Long Beach Press Telegram and the Los Angeles Daily News. Raymond and Steinhauser explain that the state’s highly rigid, compliance-oriented categorical funds restrict districts’ creative or entrepreneurial approaches to meet the needs of their students in a time of increasingly scarce resources. Furthermore, despite the intention of providing additional resources to high-needs students, the state’s current system of categorical funding is failing to ensure equity in opportunities or outcomes. Lastly, Raymond and Steinhauser outline key qualities that should be incorporated into a weighted pupil formula to ensure equity, transparency, accountability, and efficiency in school funding that translates to improved learning opportunities and improved achievement for all students. The op-eds voice similar sentiments to the California Collaborative on District Reform’s May 2012 letter to the Governor, which draws on ten member districts’ direct experience with navigating the allocation of funding to meet student needs. Additionally, Raymond, Steinhauser, and the Collaborative as a whole emphasize the need for a continued focus on an adequate amount of funding for all districts regardless of the funding formula. 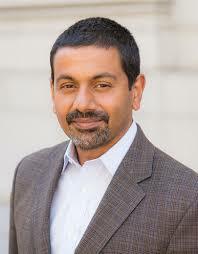 Arun Ramanathan serves as Executive Director of The Education Trust—West (ETW), California’s leading non-partisan educational policy, research, and advocacy organization working for the high academic achievement of all students at all levels, pre-k through college. As Arun explains, “In a majority-minority state like California, our prosperity is dependent on closing the opportunity and achievement gaps that separate low-income students and students of color from their more advantaged peers. Our job is to focus public attention on those gaps, the inequities that produce them, and the education leaders and reformers who make closing them their top priority.” ETW’s mission is therefore to expose the opportunity and achievement gaps that separate students of color and low-income students from other youth, and identify and advocate for the strategies that will forever close those gaps. As part of its work, ETW not only analyzes data to expose achievement gaps and understand underlying causes, but also works directly with schools and districts to understand and evaluate the impact and effectiveness of public school reform strategies and with community-based organizations to press for critical reforms. Over the past two years, ETW’s policy and research reports have made national and state headlines for exposing education inequities and identifying promising solutions. Additionally, ETW’s unique data resources, including its California District Report Cards website and online tool, have given tens of thousands of Californians access to education data that is understandable and user-friendly. As a resource for national, state and local policymakers, ETW has provided testimony before the California State Legislature and the State Board of Education. As education experts, ETW has been quoted in national newspapers such as the New York Times, as well as the top newspapers around the state, including the Los Angeles Times, Sacramento Bee, San Francisco Chronicle, Oakland Tribune, San Jose Mercury News, and the San Diego Union-Tribune. Arun is also a frequent contributor to EdSource Today and maintains his own blog at http://edvocatewest.org/. Over the course of the past ten years, more than 1,000,000 students across California have been impacted by ETW’s work and technical assistance to schools, districts, and community based-organizations to ensure that all students are accessing a rigorous college and career readiness “A-G” curriculum. Rose Owens-West is the Director of the Region IX Equity Assistance Center at WestEd. The center, launched in October 2011, is one of 10 federally funded centers across the United States. Drawing from the many resources within WestEd, Rose is responsible for coordinating with managers and staff in programs across the organization to address equity issues related to STEM, English Learners, and the school environment. 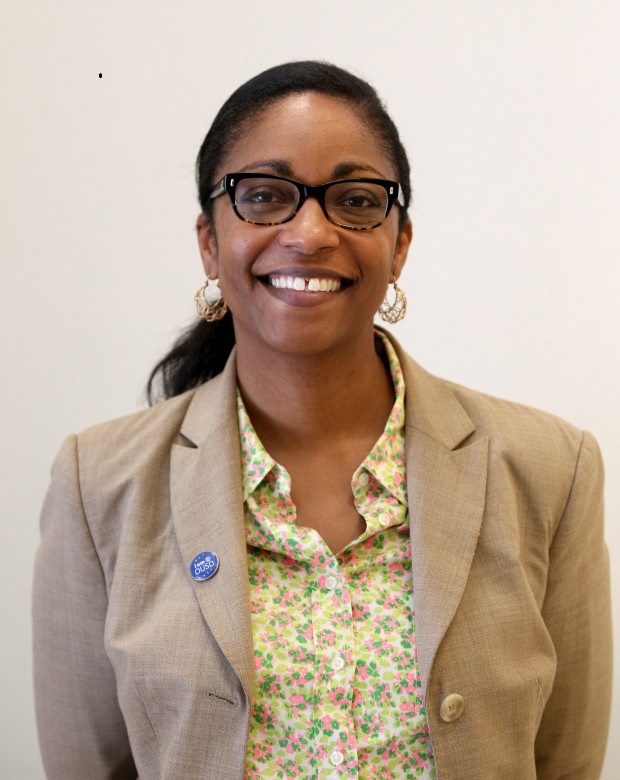 She is also responsible for building collaborative relationships beyond WestEd, and has established connections between the Center and other organizations focused on ensuring high quality education for all students. In serving clients, Rose works to help educators and others at the state, district and local levels to use data and evidence-based practices to address the many equity issues that arise across the three-state region. Some of her activities include assisting school districts to improve equity and inclusivity for their diverse students, and providing technical assistance on implementation to resolve the over-representation of students of color and English Learners in Special Education. 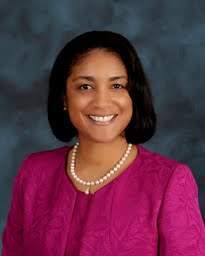 Currently she is also working with a state department of education to improve outcomes for African American, Latino and American Indian students. Rose has been committed to improving educational opportunities for underrepresented and underserved students throughout her career, and the Equity Center allows her to focus more intensely on this career-long passion. Collaborative member Jorge Ruiz de Velasco has co-authored a new report from the California Alternative Education Research Project, Raising the Bar: Driving Improvement in California’s Continuation High Schools. The report continues a study that began in 2007 and identifies “better practices” characteristic of more effective continuation high schools. Ruiz de Velasco explains, “California is unique in providing these schools, and there is evidence that they can provide an effective pathway to a diploma for a large number of kids who need special and supplemental services. But most are failing to do that.” The report examines the roles that the state, districts, and school leaders play in affecting school quality and student outcomes, and introduces recommendations for each of these groups to better provide opportunities and resources for a vulnerable population of youth. 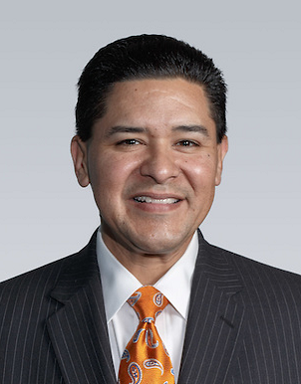 Collaborative member Richard Carranza was selected as the next superintendent of San Francisco Unified School District (SFUSD) by a unanimous vote of the San Francisco Board of Education. He will begin his tenure when Superintendent Carlos Garcia retires in July 2012. Carranza has served as SFUSD’s Deputy Superintendent of Instruction, Innovation, and Social Justice since 2009. In this role, he led the district’s implementation of a core instructional curriculum, redesign of the central office, and development of its strategic plan, all with a focus on improving educational equity. Carranza will begin his superintendency with a public listening tour and plans to continue moving forward on priorities established during Garcia’s tenure. The Understanding Language initiative has launched a new website and online community atell.stanford.edu. The initiative, co-chaired by California Collaborative member Kenji Hakuta, aims to investigate, raise awareness about, and address the role of language in learning for all students, particularly English learners. Hakuta explains, “The main message is that language matters — it has always mattered, but it matters especially so with the new standards. The implication is that content and language specialists need to collaborate to effectively educate ELLs, and we need to develop the necessary tools and systems to make this happen.” Beginning with a series of papers by national experts and a recent national conference at Stanford University, the group has engaged in an in-depth analysis of the language demands of the Common Core State Standards and the Next Generation Science Standards. In upcoming phases of its work, Understanding Language plans to test and share exemplars of language-rich teaching practices and to collaboratively develop open-source instructional resources around the new standards. California Collaborative chair Jennifer O’Day will serve on the group’s Policy Strategy Committee and California Collaborative member Aída Walqui will serve on the group’s Steering and Public Dialogue Committees as well as its ELA, Math, and Science Work Groups. 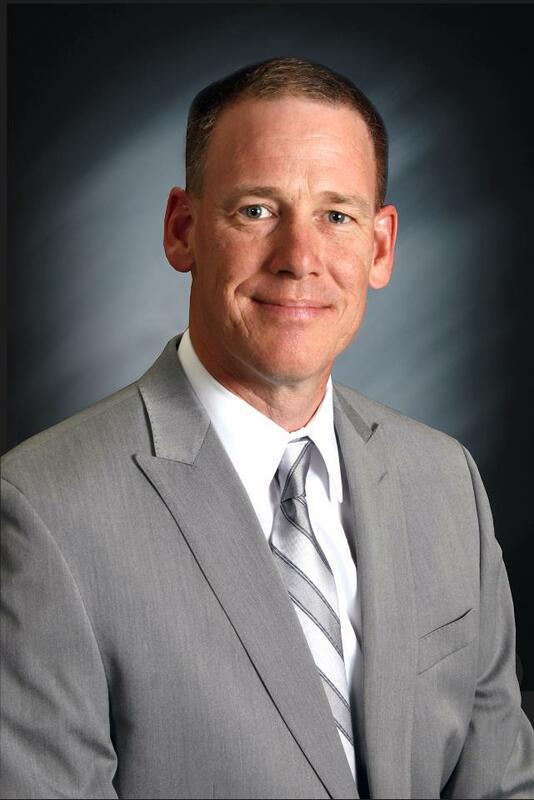 eSchool News named Fresno Unified School District Superintendent Mike Hanson a winner of the 2012 Tech-Savvy Superintendent Award. Under Hanson’s leadership, the district has made tremendous progress in the area of technology, equipping its whole system with a fiber-optic network and introducing more than 2,000 interactive whiteboards, 16,000 netbooks, and 3,000 video projectors over the past four years. Within the central office, use of videoconferencing has enabled increased opportunities for cross-district collaboration (including activities of the Fresno-Long Beach Learning Partnership) while minimizing travel costs. Oakland Unified School District, a district represented in the California Collaborative on District Reform, has won nearly $3 million in the federal Investing in Innovation (i3) grants competition. The grant will fund the district’s efforts to implement EXCELerator, a career readiness framework developed by the College Board that aims to improve the district college readiness infrastructure and capacity to provide rigorous education and supports, with a particular focus on historically underserved students. A new book, edited by California Collaborative Institute Fellow Jennifer O’Day, documents New York City’s Children First initiative through a set of eleven evidence-based papers on various aspects of the reform’s rationale, policies, implementation, and results. Collaborative Member Joan Talbert also contributed a chapter to the book, Education Reform in New York City: Ambitious Change in the Nation’s Most Complex School System. The publication is a product of the New York City Education Reform Retrospective project, which was directed by O’Day. 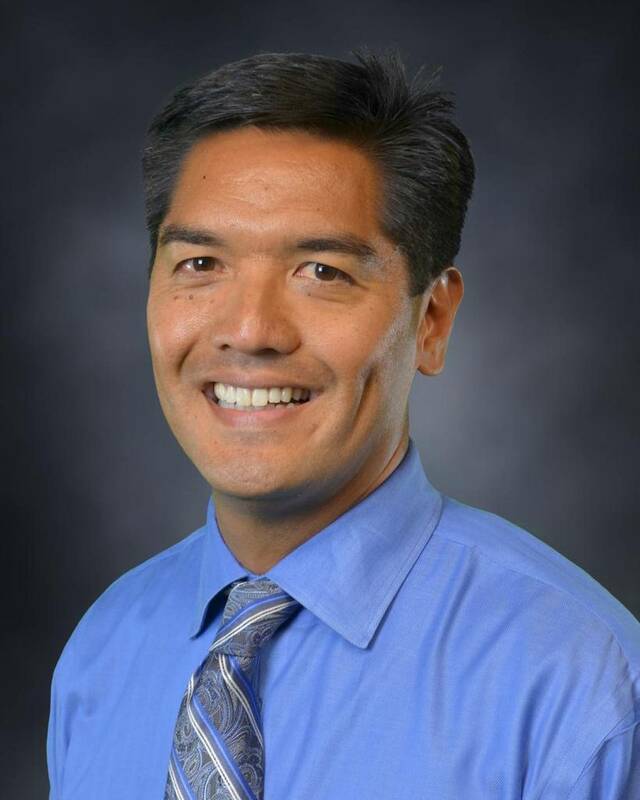 California Collaborative member Kenji Hakuta will co-chair a two-year effort to develop a framework for the English-language demands of the Common Core State Standards. With $2 million in support from the Carnegie Corporation of New York and the Bill and Melinda Gates Foundation, the group will build an open-source platform of resources for teachers of English Language Learners in an effort to link English language proficiency with content standards and assessments. 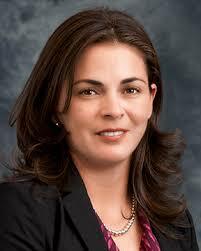 California Collaborative member Aída Walqui will be a member of the project team. California Collaborative members Cynthia Coburn and Patricia Gándara were honored at the 92nd annual meeting of the American Educational Research Association. Coburn received the Early Career Award for her exceptional portfolio of research within a decade after receiving her doctoral degree. Gándara received a Presidential Citation for her outstanding contributions to the education research community. The Working Group on ELL Policy, which includes California Collaborative members Patricia Gándara, Kenji Hakuta, and Jennifer O’Day, released a policy brief with recommendations for the reauthorization of the Elementary and Secondary Education Act (ESEA). The document focuses on four key areas of ESEA policy that can promote improved educational outcomes for English language learners. 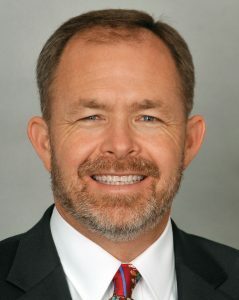 Marc Johnson, California Collaborative member and superintendent of Sanger Unified School District, has been named the 2011 National Superintendent of the Year by the American Association of School Administrators (AASA). Johnson is honored for his success in overseeing a remarkable turnaround in student achievement in the district by focusing on student learning and teacher collaboration. The Collaborative recently held a meeting in Sanger USD; to learn more about the district’s strategies discussed during this visit, see Meeting 14. The Working Group on ELL Policy, which includes California Collaborative members Patricia Gándara, Kenji Hakuta, and Jennifer O’Day, released a detailed question and answer style document addressing the reauthorization of the Elementary and Secondary Education Act (ESEA). The document focuses on five key areas of ESEA policy that can promote improved educational outcomes for English language learners. McKinsey & Company released a report on November 29 naming Long Beach Unified School District one of the world’s 20 most improved school systems, and one of the top three in the United States. The report classified Long Beach USD, a district represented in the California Collaborative on District Reform, as a sustained improver, a system that has demonstrated consistent growth over five or more years.